I'm back with my second card for Day 1 of the Holiday Card Workshop. This one is my favorite. 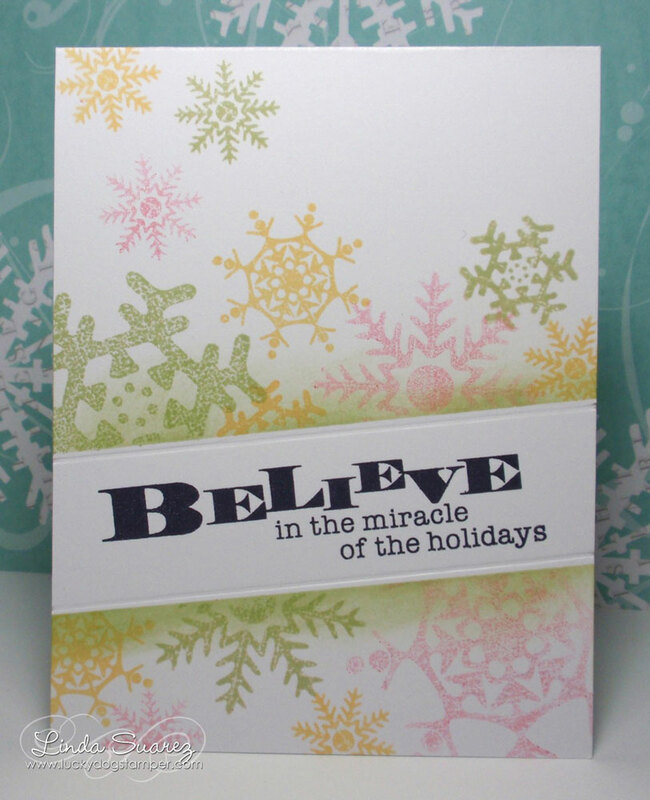 I just love the tips for mass producing stamped cards. I love one layer cards and I really like how this one came out. 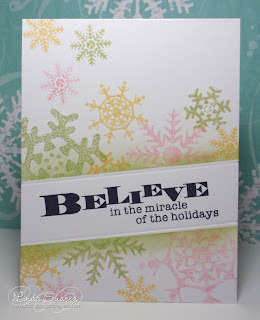 I used Snowflake Medley from Papertrey Ink and chose an non-traditional color scheme. I will definitely use this technique again! Thanks for stopping by! Have a great day! And for those of you on the East Coast, stay safe! I love the colors you chose for this card. You've also reminded me to visit PTI again. Great colours and I love how bold the sentiment is. Wow LInda I just love the colors you used! So non traditional! I am so loving that this year!